Feeling left out? Writers encounter many challenges. If you read what writers say about their vocation, you may learn that they feel isolated sometimes because writing is often a solitary activity. Writers more quickly accomplish many parts of the process by sitting alone at the keyboard or with pen and paper. The other area that challenges many writers is the area of proof reading and “knowing the rules.” The rules of punctuation can cause a stumbling block or two for many writers. 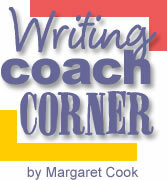 Maybe a few hints will help reduce some common errors for writers. In high school, I was fortunate to have very good English teachers. One day the chair of the English Department came to our class with a sentence on a page. He passed the paper out, told us to correct the sentence and bring it to his desk. Once we had it properly corrected, we were free to go to the library. I was motivated! Any avid reader in the class was chomping at the bit to make the correction and GO for a free reading period. I don’t remember the sentence, but I remember the focus of the lesson. When do writers use an apostrophe in “its”? The answer – only when it is a contraction. If it’s a contraction, you will use an apostrophe. Since then, I have seen writers in every setting struggle with this error. I have even encountered it at work in some large corporate reports. There are many writers who tack that apostrophe into “its” when there is no contraction. A contraction is a less formal way of saying two words as one. For example, it’s a contraction for it is like don’t is a contraction for do not. Another tough decision for writers is where to put the punctuation marks when quotation marks or parentheses are involved. For example, the punctuation (especially periods and commas) always goes inside the quotation marks and outside the parenthesis. The way I remember this is by thinking about the closing quotation mark “tucking in” the punctuation with the quote or sentence. The close parenthesis holds out or separates the punctuation from whatever is being contained in the parentheses. You may need to pay close attention to question marks and exclamation points. Where you place them depends on the quote. If the punctuation (? or !) is part of the quote, it is tucked in with the quotation. If the question mark or exclamation point is part of the larger sentence, it remains outside of the quotation mark. Colons and semi-colons are always outside the quotation mark. After you have written a rough draft and planned your revisions for your re-write, take a minute and review your writing for these three common errors. Then as you revise to your final copy, you will remember to be on the lookout for the infamous apostrophe in its, and the in or out punctuation wherever there are quotations or parenthetical expressions. Quotation Marks: Where do the commas and periods go and why? Copyright © August 2007 – Margaret Cook. All rights reserved.